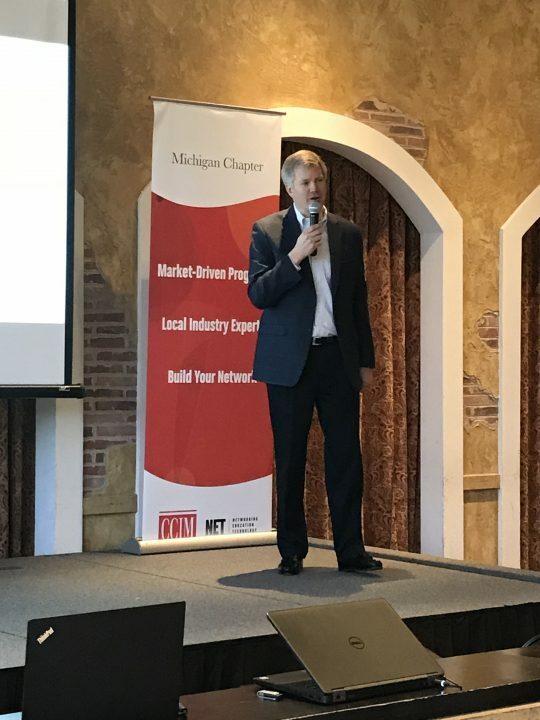 April 26, 2018 – Ford Land recently presented at the CCIM Retail Repositioning discussion. The event shared a perspective from Starwood on retail trends and examples of what retail partners are doing to adapt retail malls locally and nationally. Ford Land spoke to the adaptive re-use of 250,000 SF of retail space at Fairlane Town Center into office space for Ford Motor Company known as Town Center Offices. The discussion included insight on how Ford Land designed the space providing a new workplace experience and the challenges they had to overcome. The event concluded with a tour of Town Center Offices. Speaking at the event from Ford Land were Doug Van Noord, Director – Sales, Leasing and Development and Sean Corriveau, Ford Land – Workplace Strategy Manager.